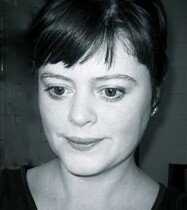 Siobhán Cleary was born in Dublin. She studied music at the NUI, Maynooth, the Queen’s University, Belfast and Trinity College, Dublin where she completed a Masters in Music and Media Technology. She has attended composition courses in Italy, France and Poland where her tutors included Franco Donatoni, Tom Johnson and Louis Andriessen. She has composed in all the major genres, producing in addition to orchestral, chamber and vocal works, a number of works for electronic media and film scores. In her career of over fifteen years of composing, her pieces have been performed and broadcast widely in Europe, USA, Canada, South America and Australia. Her orchestral work ‘Threads’ was selected by Vienna Modern Masters for performance at the Second International Festival of New Music for Orchestra in Olomouc in the Czech Republic and later released on CD. In 1996 as a Pépinières European Young artist Laureate, she was composer in residence in Bologna with the Argo Ensemble. In January 1998 a concert devoted to her music was given at Cité International des Arts in Paris, She has been commissioned by The National Symphony Orchestra The Irish Chamber Orchestra, The National Chamber Choir, the Arts Councils of both England and Ireland, Cité International des Arts in Paris as well as many individuals soloists and ensembles.